Graphic specialist crafting online masterpieces! Digital marketing is a very skillful and talented field. It requires lot of dedication along understanding of latest trends, market studies and competitor analysis. A digital marketer is a person who qualifies in all these with expertise and taste of years. There have been numerous success stories where dying businesses have gained a new life. While, there are many other cases, where digital marketing failed. 1. You don’t get it right: The main motive and process of digital marketing is not known to many people and thus, they believe that it is a failure. To get a work done, you should be aware of the best practices of digital marketing and choose the ones that suit your business the best. 2. You invest in a website that is not worth: Your website is the place where the customer interacts with your business and tries to analyse you as a business. A good and well tailored website will always attract people to get engaged and visit back again. But, if you have not got your website built properly and is missing customer attraction, then even a digital marketing strategy can’t help. 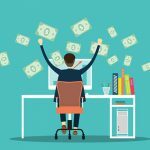 Many businesses think that fetching attraction via facebook and google ads, social media campaigns etc will give them great business opportunity, but this is entirely wrong. A website, that is lacking attraction will actually make your visitors to go to your competitors and compare you to them. 3. No planned strategy: You simply hire digital marketing because you want to or are told to. This is not the right way. When you feel to bring digital marketing into picture for your business, you need to be well planned and prepared in your mind for what you actually need to get done. Also, you should actively participate in planning strategies and future campaigns by your digital marketing team. Be clear in understanding the payment policies to avoid any hidden charges and read all documents before signing any NDA(non disclosure agreement). Don’t simply give away any of your documents and official credentials. 5. You think that outsourcing is only what you need to do: If you are thinking so, you are making a big mistake. Just hiring a digital marketing team doesn’t end your task. You need to be proactive in being with this team from beginning till the end. Also, one thing worth noting here is that the digital marketing team will not perform your entire business cycle. They shall only come into play for the digital marketing part and rest is your work. 6. Expect quick results: Do you know that digital marketing is a tedious job? Yes, it is no simple. A good digital marketing team will never waste your investments. There is a series of analysis, plans and procedures that are to be followed before final execution. The digital marketing team will consider all these aspects and plan accordingly. A digital marketing campaign launched today will start showing impact from around 3 months to maybe a year. 7. You ignore content: Content is the first and the foremost thing that anyone shall see on your website to know you. Not just this, the digital nuggets – the keywords that help you rank higher are incorporated in the content itself. Also, the content on your website needs to be optimized according to these keywords, so that the clients to your website find you easily. Furthermore, the content in form of blogs and articles are a great source to give backlinks to your website and ultimately rank higher at google rankings. Digital marketing is a wonderful asset in this digital world to rank your businesses higher and attract more and more customers. The only important thing is that you choose the right partner and stay completely involved in each phase of SEO run campaign, analyse and track timely reports and participate in future plans. Another important thing is that you should give ample time to the digital marketing team to show you successful results and not hurry. Eneet Kaur is a professional content marketer and formally working at SEO Experts company India. Writing is her strong passion and she has written quality blogs for many high – auditorial blog sites. She is a spontaneous learner in her field of internet marketing. Apart from that, she has a great knowledge of Online Reputation Management, Quality Link Building Tech Consultancy, etc. 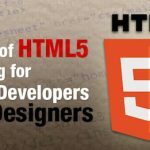 Are you a web developer or planning to become one, then you must know the importance of HTML in web page development and the various design techniques associated with it. HTML is basically a web language which can be considered as the backbone of a webpage. It gives structure to the contents of the page and helps to assign the position of various titles. 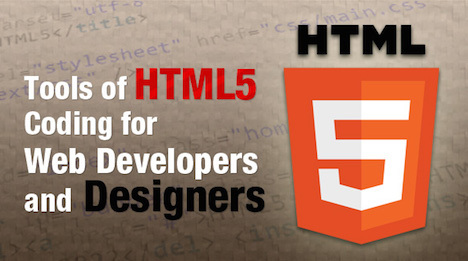 HTML is the foremost building block for the webpage development. Web development outsource consists of two jobs: front-end development and back-end development. The front-end development comprises details which can be seen and felt by the user. Back-end development is all about coding which is used to improve the functionality of the web page. The front-end development is done to provide a good interface for a user. The little details like design and easy dialogue boxes, which make the experience of the user easy, come under front-end development. HTML is programming language needed by front-end developers to make the web language easy to interpret for the users. If you observe a webpage then you will find that the information is divided into various paragraphs and embedded with videos and images. The HTML elements denote specific information related to each of the individual contents. For example, <p> denotes paragraphs and <h1> refers to heading 1and so on. 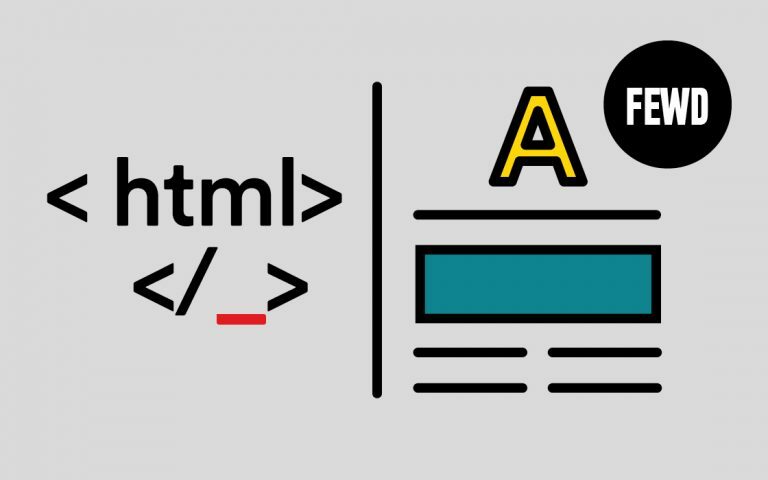 Web developers need to understand the basic use of these HTML elements to write a code which links the different elements in the page to make an outstanding web structure. HTML indicates the role of different elements that are of a big help to search engines. Marking captions of the images and its headings will let the search bots to know that both the elements are linked. HTML is a standard used to create web pages, blogs, and social media platforms. It is the core of a webpage and essentially a starting point for everyone who wants to learn how to create content for the web. The HTML revolves around the assigned tags which label the information on the webpage. Every line is wrapped with tags to either highlight it or label it. With an incredible rise in the mobile users, the access to websites from mobile devices has grown a lot. Web developers should bear in mind to develop a responsive website which eases to navigate from mobile devices too. 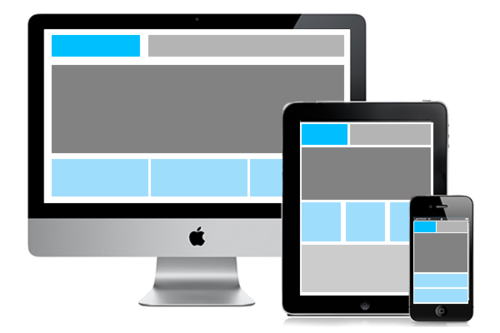 A responsive design should be made a part of web design planning. Since the layout of mobile is different from the web, the designs should be developed appropriately. Optimizing the design to fit various devices like mobiles, tablets, and wearable devices is a must for a web developer. To keep the webpage navigation smoother, consistency of font, color, and layout should be maintained through the web pages. Users should feel at ease when browsing through various pages of the website. Maintaining consistency will help the users to move from one page to another without feeling lost. Little details like spacing, color, and font size will have a huge impact on the user feel. Create a well-balanced aesthetic page which looks good on the eye. Incorporate responsive images in the content. 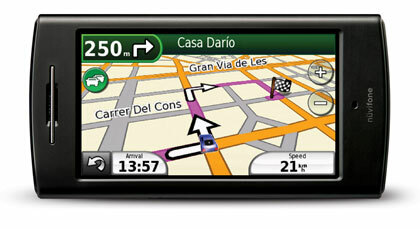 It makes the navigation easy on various devices. Building a website using responsive layout makes it easy for the content to load faster even in mobiles. Usually, HD images standout in larger screens while mobile-optimized images load faster in small screens. Images are part of every web design. A web developer should have a basic understanding of cropping and resizing images to a required resolution to make them load faster. Also, stock photography no longer appeals to the users. Recent web activity indicates that users are in need of realistic pictures which portray the actual product. The corresponding image uploaded for the content should carry the meaning of the story. The data tables are part of the content in many web pages. It is better to reformat the tables to improve the readability in all devices. A developer can replace the tables with a pie graph which is simpler than a data table and it will not interfere with the content browsing. For any search preference, be it a mobile user, desktop user, or tablet user, the ease of navigation decides the bounce rate. The bounce rate is low for websites with good navigation as the user spends more time instead of leaving the page. To improve the navigation, place the critical data in users’ visibility. They should be able to find the content for which they opened the website. Leave a navigation trail which takes the users from one page to another seamlessly. It is a good idea to add a query box at the top of the homepage to let the user find the required content. If your website is targeted at mobile audience along with web users, then it is only practical to reduce the amount of flash and animations used in a page. These file types do not load easily across all devices and hence it will affect the visibility of the page. To give your users a good feel and familiarity in using the web space, it is required to incorporate conventions in a web design. Some of the conventions which need to be highlighted are the placement of the logo, main navigation bar, the styling of the links, use of icons, button incorporation and hierarchy of the web content. Author’s Bio: I’m currently working as Content Manager with Web World Experts. I have a great passion for digital marketing and I help small and medium-sized businesses improve their online presence and grow their revenue by formulating effective digital marketing strategies for them. Apart from Digital Marketing, I have the keen interest in outsource web development services, Web Design, Graphic Design, Web Application Development technology, etc. Not all design companies are the same, it take a talented staff that’s full of creativity able to match your ideas and style to the designs shown on the screen. 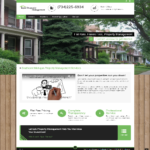 My Internet Designz is a website design studio that focuses on Unique website designs since 2005 and producing high quality sites that convert. 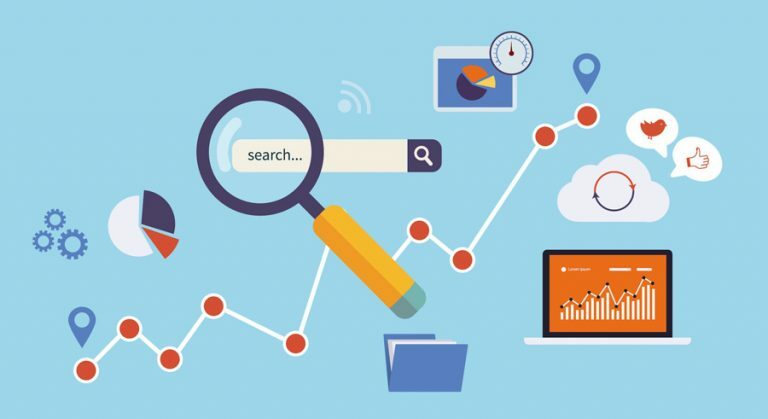 We offer SEO marketing plans tailored to your industry and service area to ensure your site is reaching the community and not just an hidden gem no one will notice, we makes sure all of our sites are unique, with mobility and marketing planned out through the whole project. We also provide online consulting for new companies which don’t yet have an online presence to larger firms looking to expand there marketing. No matter if your close to Detroit or out of state we can work with you in person or remotely to get your online branding started. 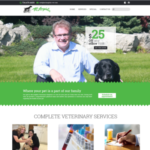 All of our sites are built to work off of a Content Management System (CMS) We specialize in business informational sites, ecommerce, and personal sites using the WordPress platform as well as full scale Ecommerce sites with thousands of products. We even handle custom solutions and applications and can consult your staff on the best options you have to grow online. Were right downriver south of Detroit in beautiful Southgate, Michigan and have designed sites for companies all over the United States. From full startup designs, site maintenance and administration to hosting. 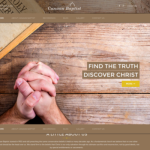 Stunning designs straight from our Michigan Website Design Studio!